Professor Danny Dorling – once described as a “geographer royal” – says these images tell us more than we might have known. A WORLD-RENOWNED GEOGRAPHER and ‘social mapper’ is coming to Dublin next week to speak about the impact of the financial crisis on the housing market – and its impact on social justice. Danny Dorling is Professor of Human Geography at the University of Sheffield, and the incoming Halford Mackinder Professor of Geography at Oxford University – but is known worldwide for his work in trying to distil complex social phenomena into digestible graphical formats. His work in 2007, trying to define the exact boundary of Britain’s north-south social divide, earned him the moniker of “geographer royal by appointment to the Left” – while he won international attention for his 2010 study showing how London was the most socially divided city on Earth. This week he’s in Ireland for a talk at the Royal Irish Academy on how the financial crisis has impacted on our fears of moving up in the world – crunching the numbers to come up with graphical ways of explaining how the crisis has impacted on nations, regions and homes. His talk hopes to arrive at some conclusions on what we can learn from this crisis, and crises of the past, so that future generations don’t sleepwalk into the same crisis. In advance of his talk, Danny shared with us five images which he feels summarise the impact of the crisis, and offers some commentary on each. 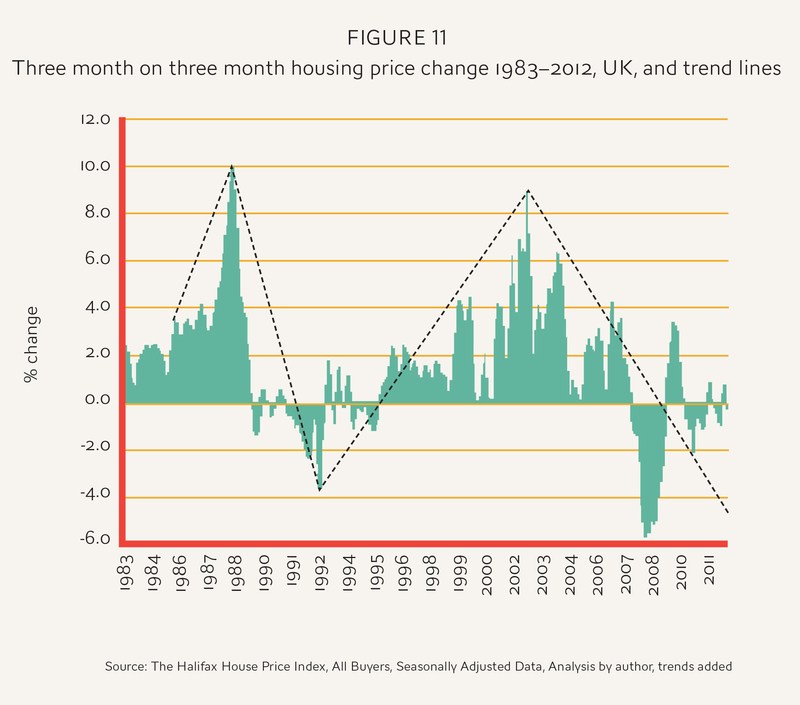 This is a graph that shows house price trends over the last 30 years in the UK - you can see the speed of increase and decrease very clearly, the 1992 price decline is clearly visible, as is the most recent boom. The dotted line is my analysis of the trend, and it suggests that housing prices in the UK could still be on the way down. Some people might say that you begin to see some increase in 2008, but it's generally accepted that housing in the UK is overvalued, and I think that the current downward trend isn't finished. 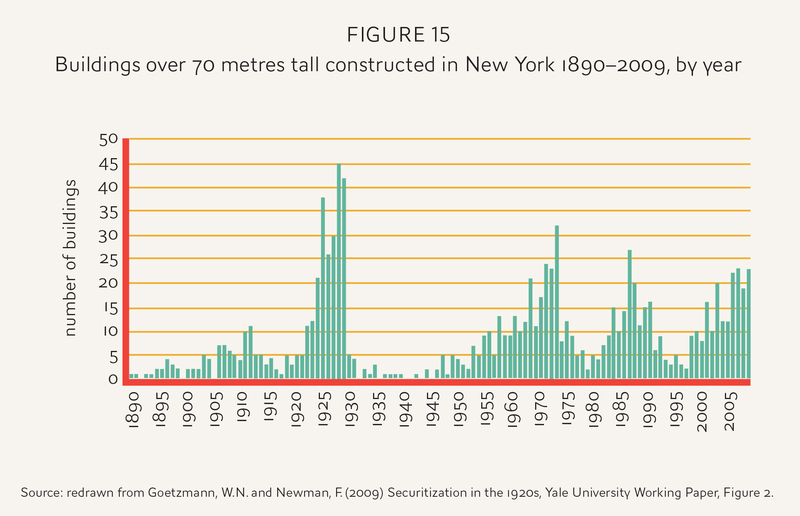 Figure 14 shows that worldwide we are at a possible peak year in skyscraper building, and Figure 15 shows that the peak year for tall buildings being built in New York was 5 years after the 1929 crash. Because of the length of time that it takes to build a skyscraper, their construction straddles the boom and bust periods - a construction on a skyscraper might begin in the boom time, but as we can see from the 1929 example, construction peaked just afterwards in the early 30's. While 1929 and the present day situation are quite different, it still doesn't look good. Figure 18 shows mortgage lending falling even further in the States (as it did in the UK in February). The dotted line is people borrowing on their Credit Cards. It shows how unusual the current crisis is, it's happening in the UK also. 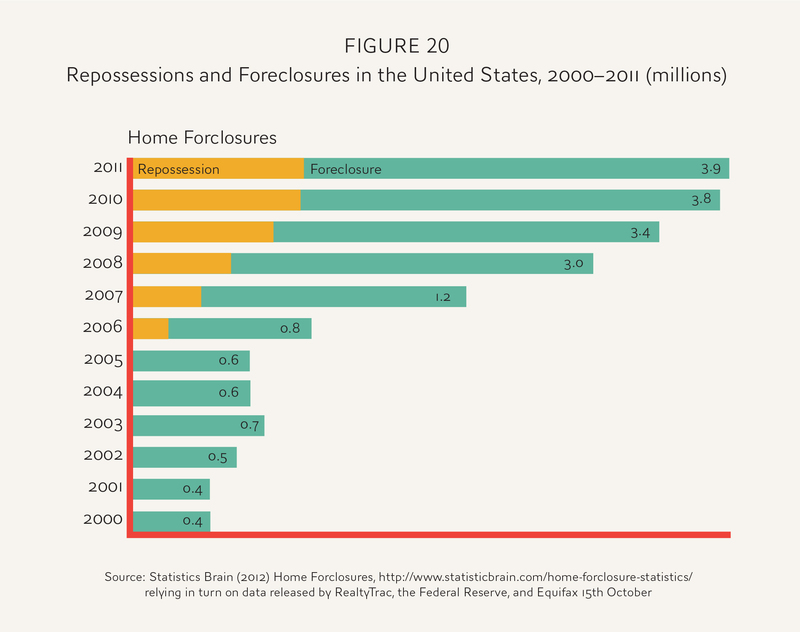 This shows repossessions and foreclosures in the USA - the most recent data I can get. This crisis is not localised to Ireland, it's global and spreading. Ireland might have been affected sooner than most of the world, but it is also ahead in thinking out of necessity. While the UK media aren't covering the Irish crisis to any great extent, the UK government are extremely afraid of the Irish example, and are spending huge amounts of money to try and avoid a similar situation. Essentially things are very shaky in the UK and USA as well as much of the rest of Europe that is better known about (including Ireland). Tickets for Danny Dorling's talk at the Royal Irish Academy are free, but limited. More information at the Royal Irish Academy website. Email “PICS: The global financial crisis summarised in five graphics”. Feedback on “PICS: The global financial crisis summarised in five graphics”.